This site is a photographic documentation of my personal exploring exploits, the places I’ve seen and experienced and some of the fun and shenanigans I’ve had along the way. 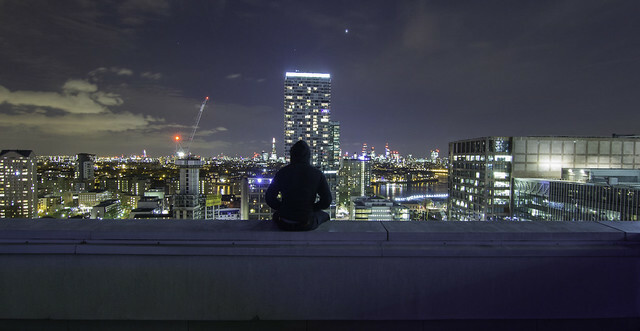 As you’ve found your way here then you probably already understand the basic concept of urban exploration; accessing and exploring places that are often deemed off limits or inaccessible to the general public via non-destructive means. In short; recreational trespass. I make no claims to be any kind of “epic” urban explorer. There are good folk out there who are blazing trails and hitting far bigger and riskier sites than me on a daily basis (and more power to them) but hopefully you still enjoy some of what I have to offer. This is merely a collection of my own explorations and experiences and maybe a bit of an insight into why some of us enjoy this crazy pastime. At the very least I hope by sharing my own experiences it encourages others to take a look at their surroundings and the urban environment around them with a fresh perspective and maybe helps them realise that there are often opportunities for exploration and adventure right in front of our eyes. They’re just hidden in plain sight. So, the next time you walk down the street in your town or city take a look up towards the rooftops above, think about what might be lying below the pavement beneath your feet or consider what might be behind that innocuous looking door you’ve always passed without a thought. Curious? Push some boundaries. Climb that roof ladder. Lift that drain lid. Try that door. Look harder. There might just be more there than you think.